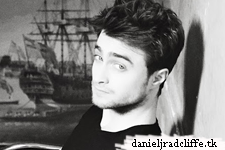 Home » Daniel , Google Plus » Google+: Daniel Radcliffe: "This is my only verified account on social media"
Google+: Daniel Radcliffe: "This is my only verified account on social media"
A new post from Daniel's official Google+ about social media. Many people still seem to believe that Daniel has Twitter and Facebook too and are following fake accounts (and they sadly don't seem to stop coming). I also did set up a post about this before. To make sure everyone knows that Daniel only has a (verified) Google+ page, the following message has been posted on his page.